Spider-Man 4 looks like it may be heading into full swing with the announcement that Pulitzer winner David Lindsay-Abaire, is in final talks with Columbia Pictures to pen a script for the latest film directed by Sam Raimi and starring Tobey Maguire. 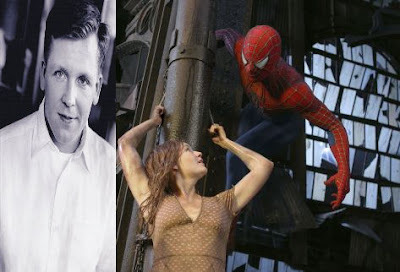 THR reports that the author won penned 2007 "Rabbit Hole" will write a draft for 4th Spider-Man film. No word was given to the fact if Lindsay-Abaire's draft will be a two picture arc, which has been heavily rumored for the 4th & 5th films, and development is under heavy lock and key. The Pulitzer winner has said that his plays tend to be, "peopled with outsiders in search of clarity," which poses itself perfect to Peter Parker's nature. Columbia is clearly trying to make a statement with the hiring of Lindsay-Abaire. They want to assure fans that Spidey is in good hands. One thing is for sure, with Lindsay-Abaire aboard, Parker's character is sure to be focused on.